The North Carolina Workers’ Compensation Act requires non-exempt employers with three or more employees to carry insurance for their employees or employees’ family in case they are injured or killed in the course of their duties. The North Carolina Industrial Commission is tasked with overseeing employers to make sure they are complying with the Act. Employers who do not comply can be subject to stiff financial penalties, charged with a misdemeanor, charged with a felony, and imprisoned. North Carolina’s State Auditor recently published their findings assessing whether the Industrial Commission is effectively ensuring compliance with the Act. The audit found the Commission does not have the adequate data to identify, locate, and punish employers who are not carrying workers’ compensation insurance. Two main sources could aid the Commission in their search for non-compliant employers, but the Division of Employment Security (Employment Security) and the North Carolina Rate Bureau (Rate Bureau) have significant differences in their data. These differences prohibit the Commission’s ability to reliably match data and identify non-compliant businesses. The Commission is also failing to use the data available to track and punish businesses who have allowed their workers’ compensation insurance to lapse. These findings are alarming because it leaves numerous North Carolina employees at risk in the event they are injured. Employees may file a notice to North Carolina’s workers’ compensation fraud department that their employer is non-compliant, but that does not help the employee or employee’s family with large medical bills or funeral expenses in the interim. Employees are left extremely vulnerable after operating under the assumption that they would be covered under the state-mandated coverage. Before May 2012, the Commission was not assessing penalties and fines UNTIL a worker was injured. It was only used as a bargaining tool, allowing an employer to decide between payment of the worker’s medical expenses or payment of the fine, and not truly punished for allowing the circumstance to occur in the first place. After May 2012, the fines were assessed once the violation was discovered, but fines were not collected, which deprived the state of needed funds for the school system. So far, all have fallen short of pre-emptively deterring lapses in coverage that can deprive an injured worker or deceased worker’s family from needed funds. In response, the Commission has agreed to the findings and recommendations that the audit produced in its report. They have pledged to make the corrections and work with the Office of the Attorney General to enforce and collect penalties. Normally, when a worker is injured or killed while performing an employment duty, they are generally precluded from suing the company for personal injury since the company has already provided for their expenses through workers’ compensation insurance. If an employer fails to provide coverage and an injury occurs during this period, then they may have lost their immunity to a personal injury action. With a personal injury action there is the potential for punitive damages under North Carolina law on top of compensation for lost wages, medical bills, and other expenses incurred as a result of the injury. Auger & Auger are experienced workers’ compensation and personal injury attorneys who will pursue every avenue of legal relief. They handle North Carolina workers’ compensation claims and know what documentation must be produced so that your compensation is maximized. If your employer has neglected to maintain their state mandated insurance coverage, the attorneys at Auger & Auger will swiftly act to hold all parties accountable. If you would like to speak with one of our attorneys about your workers’ compensation or personal injury claim, call for a free consultation at (800) 559-5741. In early February the North Carolina driver of a moped was killed when he merged into the left lane of traffic, behind a semi tractor-trailer. His moped clipped the tail end of the trailer and lost control. The moped driver was not licensed or registered, but under current North Carolina law you do not have to be registered or insured. The North Carolina General Assembly is considering a bill that would require moped owners to register their moped and carry insurance. In 2009, North Carolina passed the Financial Responsibility Act, which mandates that all automobile owners carry Uninsured and Underinsured Motorist Coverage. Uninsured coverage (UM) pays for bodily injury and property damage costs when the at-fault driver does not have any insurance. Underinsured coverage(UIM) is when the at-fault driver’s policy limits do not cover all the expenses incurred from the wreck. The statutory minimum for UM coverage is $30,000 bodily injury liability per person, $60,000 bodily injury per accident (regardless of how many people were involved in the accident), and $25,000 for property damage. UIM coverage requires that the cost of injuries or property damage exceed the at-fault party’s limits, and that your contractual limits exceed theirs. Determining whether the UM or UIM policy applies can be confusing. UM and UIM coverage includes hit-and-run accidents and insured pedestrians hit by a uninsured or underinsured motor vehicle, but it will not cover accidents that are outside a natural and reasonable consequence of the use of a vehicle. Drivers of mopeds are not considered motorists in North Carolina. The Department of Transportation defines mopeds as 2-3 wheeled vehicles that cannot go faster than 30 mph on a level surface with a motor of no more than 50 cubic centimeters of piston displacement and no external shifting device. Moped users, like bicyclists, have the same access to roadways as standard motor vehicles; they must follow the rules of the road, comply with the state DWI blood alcohol limitations, and wear a helmet. However, if an accident occurs, they may not be protected if the other driver of the vehicle was at fault and uninsured or underinsured. If the uninsured or underinsured moped driver caused the accident, then the motorist may have to use other legal remedies if the accident is not covered under their UM or UIM policy. In order to recover fees, the injured motorist would have to personally sue the moped driver in civil court and have a judgment entered. 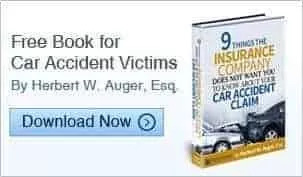 The experienced North Carolina car accident attorneys of Auger & Auger have dealt with the complexities of Uninsured Motorist and Underinsured Motorist insurance coverage for several years. They will readily apply their knowledge and experience to your case to figure out how to recover expenses incurred from an accident, whether it involves an uninsured motorist, a moped driver, or hazardous conditions caused by others’ negligence. If you have been injured and would like a free consultation with one of our esteemed lawyers, contact one of our five offices in Charlotte, Greensboro, or Raleigh. A multi-vehicle crash on Tuesday, February 5, 2013, injured two people and killed another. According to police, the accident happened at approximately 4:15 p.m., when a 2002 Mercedes-Benz ML 320 crossed over into the lane of two other vehicles travelling in the opposite direction. The other vehicles were also travelling on Ardrey Kell Road between Providence and Tom Short roads. The Mercedes apparently veered into the lane of a 2002 Toyota Tacoma pickup, sideswiping it and then having a head-on collision with a Toyota Sequoia SUV. The roadway at the scene of the impact was a two-lane paved roadway with shoulders, one lane traveling in each direction divided only by a center stripe. There was a slight curve in the roadway where the collision happened. Based upon the extent of damage to the vehicles, speed and inattention could have been factors in the accident. Neighbors in the area said that vehicles using that road often travel much faster than its 45 mile per hour limit. From the photographs at the scene, all vehicles appeared to be total losses. Investigating officers related that both the Toyota Tacoma and Toyota Sequoia drivers were transported by ambulance to Carolinas Medical Center-Pineville. They are both expected to survive. The driver of the Mercedes was flown by MedCenter Air to the Carolinas Medical Center in Charlotte where she died at approximately 7:30 p.m. The Charlotte-Mecklenburg Police Department is continuing to investigate the cause of this tragic accident. Our experienced North Carolina attorneys know that there can be several reasons for the driver of one vehicle to veer into the lane of another vehicle coming from the opposite direction. Some of the reasons are driving under the influence of alcohol or drugs, speed, driver inattention, falling asleep and driver distraction. With all of the technological advances we have, there are many things to cause drivers to be distracted from the task of driving. Some of these distractions are the GPS, cell phone, I-phone, I-pad, head phones, satellite radio, stereo and last but not least, texting. The problem is so significant that 15 people are killed and over 1,200 are injured every single day because of a distracted driver. As a matter of fact, over 50% of all drivers in the United States between the ages of 18 and 29 have admitted to texting, e-mailing or searching the web, “regularly or quite often,” while driving in the last 30 days. Unfortunately, head-on collisions are serious impact collisions with two or more vehicles colliding with little or no time for evasive action. The results are generally catastrophic, as in this case. If you or a family member have been injured or suffered the loss of a loved one in a head-on collision, you need to get in touch with a North Carolina attorney who is experienced in handling head-on coilisions. The Law Firm of Auger & Auger has three offices in Charlotte and one each in Raleigh and Greensboro. We have over 40 years of experience and are dedicated 100% to handling nothing but injury and wrongful death cases. Let us help you like we have helped thousands of others. Contact us through our website or call direct at (704) 364-3361 for a no obligation consultation about whether you have a case and how you should proceed. All of our cases are handled on a contingency basis so that you will never owe us a fee unless you get a settlement.